We can help find the perfect wedding venue Asheville & Leicester to make your special day very romantic and memorable at very affordable cost. After working so many years as a wedding venue Asheville owner we have the perfect relationships with many vendors and providers in the area to get you the most reasonable ceremony and reception venues you can dream of. You can get married at a family-owned vineyard, boutique farm, alongside a beautiful pond or on a mountain top vineyard with a 360º view. We have packages for every budget and wedding venue preference (see some options below). We can help you find the perfect venue to make your special day very romantic and memorable at very affordable cost. 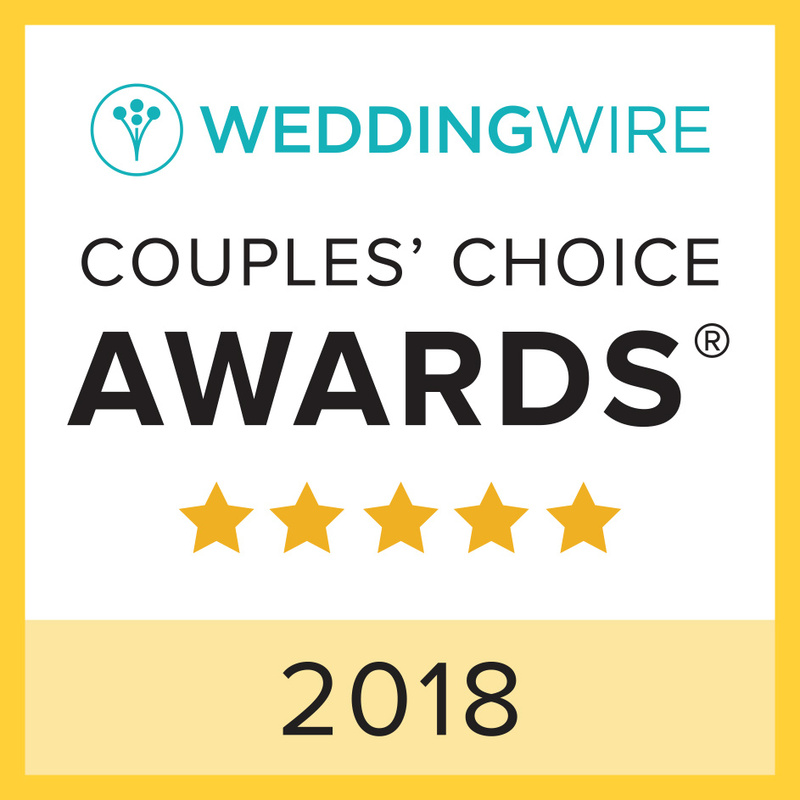 After working so many years as a venue owner we have the perfect relationships with many vendors and providers in the area to get you the most reasonable ceremony and reception you can dream of. We have packages for every budget and venue preference (see some options below). You can get married at a family-owned vineyard, boutique farm, alongside a beautiful pond or on a mountain top vineyard with a 360º view to name some of the few available for your wedding venue options. Now it is the right time to book your wedding venue Asheville with Fontaine Wedding & Event and let yourself float away with the excitement of your wedding day. We have a selection of wedding venues at affordable prices starting at $1600. and up. All wedding venues in the Asheville and Leicester includes our Full day Planner/Coordinator to make your event stress free. Please let us know if you are ready to book your special day. 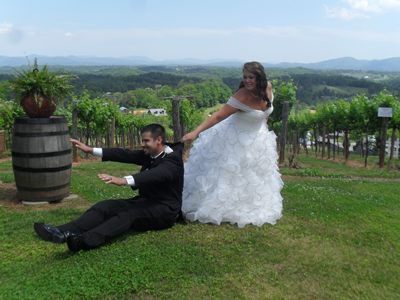 Some of our affiliated wedding venue’s Asheville area that we work with are listed below. Remember that we can help celebrate your special day any venue of your choice. This vineyards Offers 360° View. An intimate Ridgeview Venue/Barn, large stone fireplace, Cottage for night of wedding. 15 minutes to Asheville. Beautiful natural large pond with panoramic view of forest and mountains. Beautiful Vineyards on a 55 acres farm offering mountain view background In Leicester only 25 minutes to Asheville. Leicester 33 acres farm. Home of sheep, chicken & turkey. An eco-community site with 2 cabins and multiple campsite options. 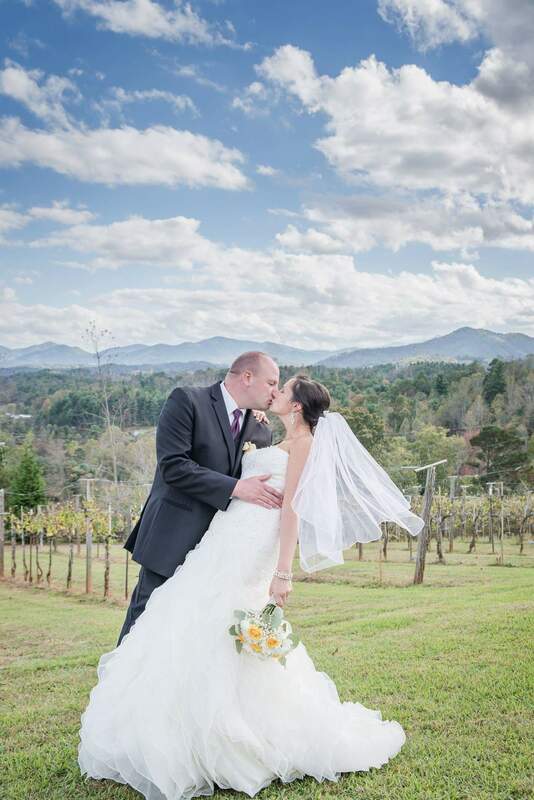 Let us help capture your perfect wedding venue ~ Asheville moments.